What Qualifies Me for a Refund? The official App Store and iTunes Store policy is that all sales are final. There are a few exceptions to this rule. You can get a refund if the app crashes or does not work, if you are charged but do not receive the item (including in-app purchases), if the app is not compatible with your device, if the app does not work as described or is otherwise a scam. Deleting an app will not refund it. The proper venue for getting a refund is described below. There are two ways that you can get a refund. 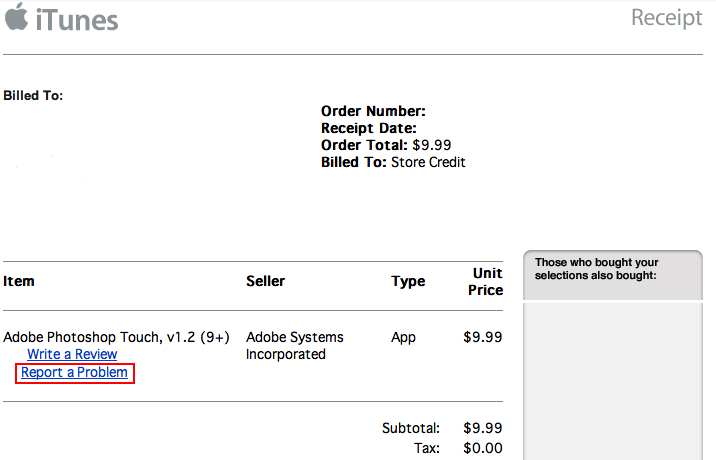 When you receive a copy of your iTunes receipt, there will be a Report a Problem link in your email receipt. Clicking this link, you'll be connected and iTunes will be launched. 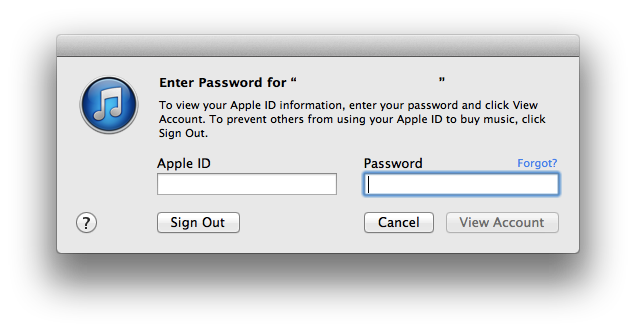 From here, the iTunes Store tab will automatically open and you will need to sign in. After this, you may fill out the form and select what type of problem it is and add any additional comments. After that, you are all set as soon as you click the Submit button. NOTE: This route will take you to reportaproblem.apple.com. You can go there directly rather than using iTunes. iTunes will merely help you find the specific order/item you would like a refund for, which can also be done at the above webpage. I find this method much easier. Don't worry; while some support services require you to pay for telephone support, you can email iTunes Support for free. Follow the exact steps below. 6) Click Submit and you're done! Replies typically take 24 hours or less. If it's been more than 48 hours, resend your message/email. They are generally no hassle and polite. Want more advice on apps? We respect your privacy... and choice of apps.